Feeling: It’s crazy at full term; Baby Griffin can arrive at any moment. It’s hard to believe that our daughter’s scheduled debut is less than a week away. This journey has gone remarkably fast. Both Justin and I can’t believe it’s our last week as a family of two. Symptoms: I have been having Braxton Hicks and other little signs that things are progressing (I’ll spare you the TMI details) but no signs of labor. Food Cravings: No current cravings, my appetite has become nonexistent. As far as cravings for foods to indulge in once she arrives, I am looking forward to sushi, sweet champagne, and a nice medium rare steak. Sounds like the perfect celebratory meal. Clothes: The nine month mark definitely has limited my wardrobe selection. I find myself often repeating the same outfit… definitely going for “stylish” comfort these days. Weight Gain: 27 lbs. Lately, everyone has been asking if I am concerned with the weight I have gained. Despite being the heaviest that I have ever been, I am not putting pressure on myself to return to my old body. It took 9 months to develop, so it’s going to take some time getting back to where it was. Sleep: Hardly. This little girl is one active girl and does not allow me to sleep anymore. Between her constant movements (I’m seriously wondering when she sleeps) and the endless trips to pee I am averaging 2-3 hours of sleep total. Best Moments: Car seat installed, Ordering custom hair bows, finding a baby book. MATERNITY LEAVE!!!! Memorable Moments: Christmas Eve was our last doctor’s appointment. According to our doctor he estimates her current weight around 6 and ½ lbs. Nursery Prep: Nursery is nearly complete, just awaiting the arrival of our princess. A few projects remain unfinished but they are not necessary to her arrival. These include completing her bow holder, and photo gallery wall. Feeling: I can’t wait for her arrival. I have days where I see other mothers, a commercial or social media post that makes me want her in my arms at that moment. Then other days, I start stress over how quickly time has passed being pregnant and how time will fly by even quicker once she is here. Often, I just sit staring at my belly thinking of all the times we will share. There are not enough words to describe the immense joy; she has already brought to my life before she is even born. I know there will be moments when she will try my patience, times when I’ll consider myself failing at being a mother but I just hope that she will never doubt the love that Justin and I have for her. Perhaps it’s the pregnancy hormones kicking in, but as I think of everything that led us to where we are today I am overwhelmed with emotion and wipe away tears of joy knowing that she is blessing from the Lord. I am sooo thankful for her!!! Symptoms: No complaints. I usually have no symptoms, other than the occasional cramp in my calves or mild lower back pain after an extremely busy day on the go. On a side note- pregnancy did affect my eyelashes. My eyelashes have become sparse and there are days that I forgo mascara and only wear eyeliner since it only manages to highlight their nonexistence. Any of you mothers experience or notice the same? Or want to share a random symptom that you attribute to pregnancy or hormones? Food Cravings: No particular cravings. Although, lately my sweet tooth has come back and is satisfied by a nightly bowl of cereal. In regard to foods that I am missing, I do miss having a nice medium rare steak, and delicious Sushi. Clothes: Strictly maternity bottoms, and a mix of maternity and loose-fitting pre pregnancy tops. I finally caved in and bought a pair of maternity workout pants and I am so happy that I did. I highly recommend the pair I got from Old Navy. Super comfortable! Sleep: Other than the 4:30 a.m. Wake up call, it has been surprisingly good. I’m guessing this little lady is just preparing mommy for her arrival and feeding time. I’m definitely enjoying the longer stretches of sleep and only having to get up once for a restroom break. Best Moments: Watching her movements each night. It still seems unnatural to me and freaks me out, but I love it all the same. I’m hoping to record some of these movements to share with her in the future. As many times as I feel her throughout the day, each time still makes me smile. I know I am going to miss these movements. I love having her so close to me, within me, a part of me. Memorable Moments: This week my family and best friends hosted a wonderful baby shower fitting for a princess. Stay tuned for an upcoming post with pictures and more details. Nursery Prep: Awaiting the delivery of her dresser this week. Once that arrives, the wall décor will go up. This week I will be looking for book storage. I am not sure whether it will be a book shelf, wall shelves or baskets. I am very excited that she has a great start to her library. Hopefully, she likes to read like her mommy. I started to reading to her each night before my bedtime and plan on continuing this when she arrives. Looking Forward to: Nesting… starting on the list of things to do… wash clothes, purchasing and installing our car seats, setting up the pack and play, setting up the swing… ORGANIZING!!! 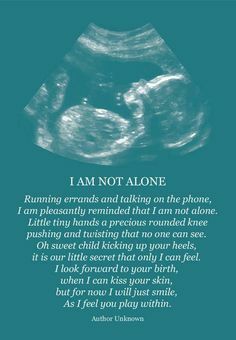 We couldn’t have asked for more from our little girl as we watched her move during her 3D/4D sonogram. At 27 weeks, she’s fascinated with her toes and kept trying to put them in her mouth. It amused us as she would open her mouth to place her toes in her mouth, and then pout when it didn’t happen. We were able to get several images with her tiny toes by her face. Such a wonderful, playful baby she will be. We are thankful to have gotten so many great images of her considering she is currently in a Frank breech position. This position is common prior to 30 weeks and often up to 32 weeks, but for viewing purposes it can make getting good images during a 3D/ 4D sonogram difficult as we were told by our sonogram technician . Cute little hands, tiny toes… Does she have mom or dad’s nose? Baby Flutters were just the beginning… On August 27, 2013, was the first time I got to feel the anticipated Baby Flutters. It wasn’t much longer till our Baby Girl decided to move enough to allow not only for me to feel her, but for both Justin and I to see her move. On September 7, 2013, I felt our daughter move for the first time. Not only could I feel her move, but we got to see her move. For the nearly the next hour, Justin and I watched the quick movements of my belly. It was as with each word we spoke to her, she responded by moving. She definitely loves daddy’s soothing voice and I can’t help but smile each time she moves. It makes me laugh as I watch the big movements and imagine how she is moving. Is it a wave of her hand? A kick of her foot? Or her playing with her hands and feet? It is such an amazing, indescribable, feeling. I’m going to miss these intimate moments between the two of us. Feeling: Great! The first trimester fatigue came and went. I am enjoying the second trimester and all the daily joys and new experiences it brings. Symptoms: I’ll be the first to celebrate the fact that I have not had any morning sickness throughout this pregnancy. That being said I’ll pass on the extreme breast tenderness and increased size. Seriously, I don’t know how much larger they can get. I knew there was a reason for all those back strengthening weight sessions, lol. Food Cravings: I still want as much fresh fruit as possible which at this point I can’t say is really a craving any more. It’s more of a habit now. Clothes: Maternity bottoms have been a staple early on. As for shirts, I am trying to wear as many of my pre-pregnancy shirts as possible… well those that fit over the chest and that are longer in length. Weight Gain: Since my last doctor’s visit I have gained 8 pounds for a total weight gain of 10 pounds. Luckily for me, with my pre-pregnancy BMI my estimated weight gain for this pregnancy is between 25-40 lbs. There is no hiding the fact I’m pregnant now. (Not that I would want to) As different as it is to look in the mirror and have a belly, I love how womanly it makes me feel. Sleep: Thankfully I am getting what I consider a “full” night’s sleep of 4-5 hours sometimes 6. As of now, I am still sleeping on my stomach but this is going to come to an end soon. Memorable Moments: Revealing Baby Griffin’s gender at her gender reveal party. Nursery Prep: Her crib is up and fit for royalty. One would think that it was me who picked the crib, but Justin made the final decision. It’s super girly! I love how he is just as involved in making her room all about her and fit for the Princess she is. Now if only choosing a décor and/or color scheme was as easy. Who would have thought that would be the toughest decision regarding her room so far?!? Random: Purchased Baby Griffin’s first photo album. At only 18 weeks, she already had 21 photos. She’s our pretty girl. Our doctor also confirmed our C-section date. It’s crazy to think it’s just slightly over four months away. Looking Forward to: Baby Griffin’s next photo session and of course our next doctor’s appointment. The morning of July 28, 2013, Justin and I drove to Peek a Baby in Modesto. The drive was full of nervous anticipation as we speculated what the gender of Baby Griffin would be. Would Baby Griffin be Daddy’s baseball player or Mommy’s pageant princess? We arrived early and quickly completed all the paperwork. Once completed, we were promptly taken back for our ultrasound. The technician quickly identified the gender of Baby Griffin and didn’t keep us waiting. She pointed to three, small, white lines on the screen and stated, “It’s a girl.” With tears in my eyes, I turned to Justin. He was crying too. It was such an incredible moment. Baby Griffin was a girl. The first words out of my mouth, “I got my girl!” I was in shock. The whole appointment was so quick. It wasn’t until we left the place, I became overwhelmed with emotion and started crying. Not only had the Lord blessed us with a baby, he had granted my wish of a baby Girl. The little girl I had pictured in my dream, was true. As we drove home, I stared at the photos. I couldn’t believe I had gotten my girl. Just knowing the gender, made this journey all that more real. We could finally envision Baby Griffin in our arms. With minimal explanation of the photos we received doubt started to creep in. Despite our initial belief Baby Griffin was going to be a girl, we let others convince us that we would be expecting a boy. We spent the next hours looking and comparing our sonogram photos to those we found online. It seemed too good to be true. The next morning, I made the decision to get a second opinion. I drove to Modesto a second time in two days for confirmation of Baby Griffin’s gender. It doesn’t hurt to have a second opinion from a second place, right? Womb’s Window (previously known as Womb with a View) was a very friendly experience. Within moments of meeting the technician I felt at ease. As I prepared myself for the possibility that the original gender peek was incorrect, I began to get nervous. It wasn’t long before the technician pointed to the screen and stated, “It’s a girl. She’s all girl.” It was such a relief. The technician and I laughed as I shared with her my previous doubts. She answered all my questions, and detailed each minute of the sonogram. I cried watching my daughter on the screen as she played with her feet, and waved. It was as if she knew I was watching her. It was the greatest fifteen minutes. She’s a star in the making and true gift that I am forever grateful for. The best part was not only did the technician provide confirmation that Baby Griffin was indeed a girl, she provided me with a DVD of the ultrasound. I spent the remainder of the evening watching my daughter’s DVD over and over till I fell asleep. My daughter- words can’t express the amount of love I already have for her. I never knew one could love someone who they had yet to meet. It’s exciting, scary, and nerve wrecking all at once. I am sooo in love with her.